Welcome to St. Michael Parish School. We are a faith-based Catholic school with more than 150 students in preschool through 8th grade, and on-site day care for children beginning at age one. Led by a talented team of educators who follow the footsteps of our master teacher, Jesus Christ, we focus on developing the whole child through daily prayer, excellent academics and community service projects. Each of these elements encourages students to grow spiritually, intellectually, emotionally and physically. We encourage our students to see the good in everyone and respect all people. By setting these and other high expectations for our students, we help them develop into caring people who set their own goals and are motivated to succeed. 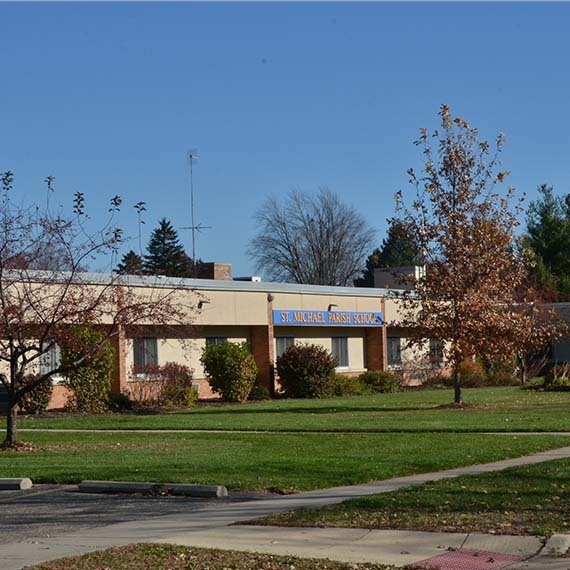 If you are looking for a warm and welcoming place for your child, come visit St. Michael Parish School. Parents are encouraged to become involved and children are well prepared for high school and beyond. If you are interested in sending your child to our school but are concerned about the cost, please contact us. 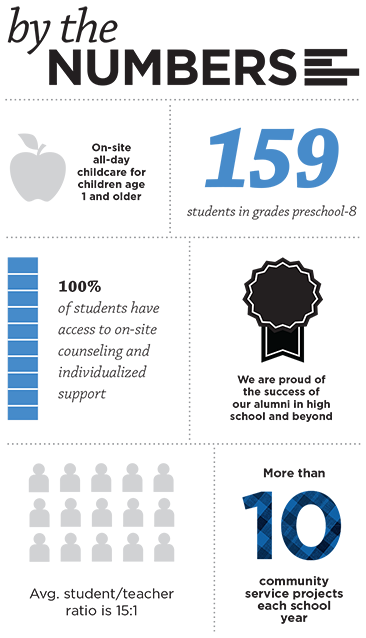 Tuition assistance, family discounts, tuition payment plans and other options are available. We hope you choose St. Michael Parish School, where faith and knowledge meet. Our mission at St. Michael Parish School is to shape each individual to be in union with Jesus Christ by creating a learning community built upon a foundation of Catholic faith. provide for each student's spiritual, intellectual, emotional and physical growth. demonstrate a personal commitment to the academic success of each student and the continued education of staff. foster a supportive, safe and loving environment based on mutual respect for all of God's creation. create opportunities for serving the greater community. At St. Michael Parish School, we take pride in addressing the individual needs of each child. Our small class sizes, strong curriculum, highly qualified teachers and on-site counseling enable us to help students achieve their academic goals. When students leave St. Michael Parish School , they are well prepared for high school and often are top students in advanced courses in their high school classes. In addition to our core curriculum of religion, math, reading, writing, science, and social studies, we offer art, music, physical education, Spanish, and computer technology for all students through a partnership with the local public school. Students at St. Michael Parish School are taught to grow in their journey toward a holy life through religion class, participation in weekly Mass, sacramental preparation, Eucharistic adoration, reconciliation and learning about virtues and the saints. In addition, students are taught the importance of daily prayer and can be seen turning to prayer often during the day when they see someone in need. 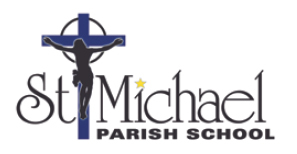 St. Michael Parish School offers many exciting activities for students and families including band club, archery, volleyball, and a "Fuel up to Play 60" program. Our school also offers teams for students in 5th through 8th grade through the Lansing Catholic Youth Activities Conference, including girls' and boys' basketball and girls' volleyball.